You’re currently connected on our COCENTAL website. All data’s and information from our website www.cmm-equipments.com have been made publicly available by COCENTAL. 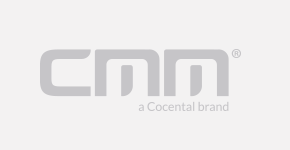 The general architecture, as well as it content, live or still images, sounds, process, product, technology and know-how in general and all others elements which take part of website www.cmm-equipments.com are exclusive property of COCENTAL. Any total or partial use, copying, reproduction, publication, downloading, posting, transmission or distribution ‘in any form’ without the express permission of COCENTAL is prohibited and shall be considered as an infringement of the relevant provisions of the French Intellectual Property Code unless specifically authorized under applicable law. COCENTAL, COCENTAL logo and any derivative version thereof, as well as its partners’ trademarks, whether or not owned by COCENTAL are registered brands. Any reproduction in part or in full of these brands or logos included in this site is prohibited without the express permission of COCENTAL as per French Intellectual Property Codee. The databases which appear on COCENTAL website are protected by the provisions of the law of 1st July 1998 transposing into the Code of Intellectual Property European. Any reproduction or representation, complete or partial of website www.cmm-equipments.com, made without COCENTAL consent, would be illegal and would constitute an infringement. 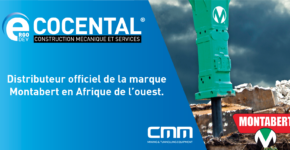 Any use of the data or information from COCENTAL website www.cmm-equipments.com must mention COCENTAL as being the source of the information. COCENTAL website address must be also mentioned in the source of information. Contents and links towards sites external to www.cmm-equipments.com on which COCENTAL refers (as hypertext link) do not involve the responsibility of COCENTAL. Under no circumstances will COCENTAL be liable in any way for any third party submitted or provided content, including, but not limited to, any errors or omissions, or damages of any kind.